Spurtles are a fun and sophisticated addition to your favorite cook's kitchen. Light and comfortable in the hand, they make stirring soups, sauces, puddings and more less like a chore and eliminate a spoon's splashing onto the stovetop. Make your kitchen time more rewarding by trying new recipies and using fine handcrafted woodenware to elevate the practice of food preparation. Home made soups, sauces and puddings can be more fun when stirred with a handcrafted spurtle rather than a plastic spoon, are healthier, and taste better than canned items! My design is not original but very similar to that shown by Mr. Richard Raffan in his 1991 Turning Projects video. The basic shapes works so well, it doesn't seem likely it could be improved. The cuff nestles just below the fold between thumb and first finger, the narrowing helps keep it there, and the wide base more effectively swirls liquid than a thin one would. Overall, the spurtle is quite comfortable to hold and use. We are all indebted to the Scots for this ingenious and useful kitchen utensil. The small spurtle is about 8" long and works well for small sauces and single servings of porridge or oatmeal and soup. 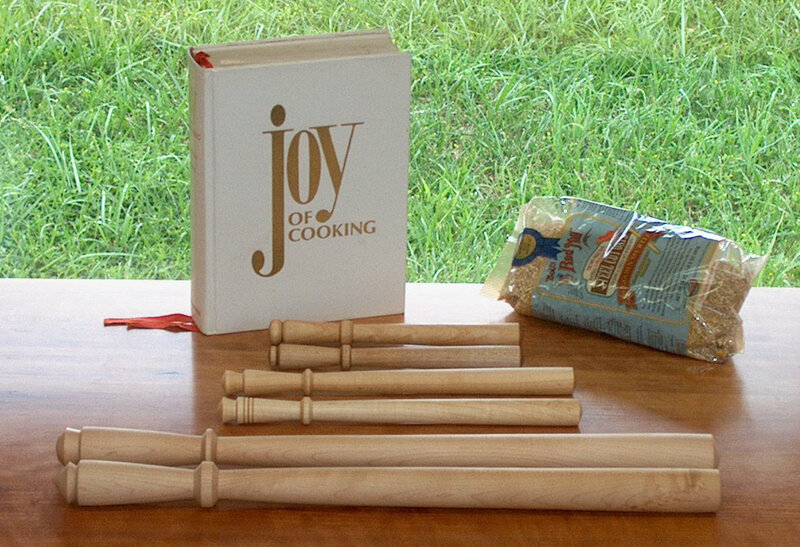 The medium spurtle at around 11" is great for main course soups and desert puddings and tapioca. The large spurtle, almost 20", stirs large batches of pasta sauce and similar for freezing and gifts to friends and family. 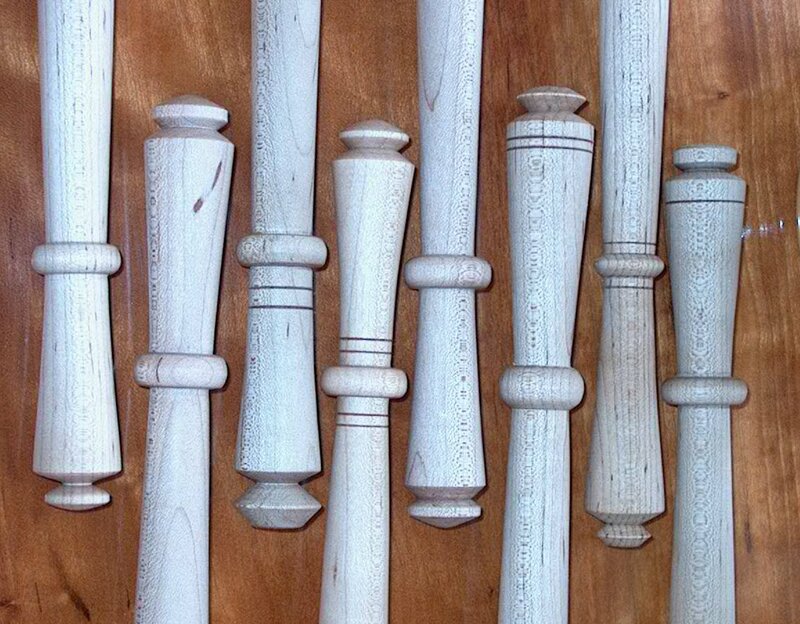 These spurtles were turned from select hard maple so they can stand up to regular use. But being wood, normal use should not damage pots and pans. For safe use in the kitchen, they were wiped with pure mineral oil. Hand washing with dish soap is recommended, with re-coating of the dried spurtle with mineral oil as needed.